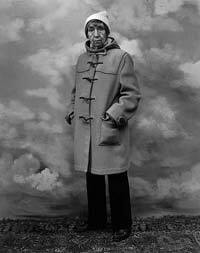 Berenice Abbott was a well-known American photographer who was mainly popular for her black-and-white photography of the New York urban design and architecture during the 1930s. Berenice was born in 1898 in Ohio. She was brought up by a single mom because of divorce. Abbott went to Ohio State University for one year before moving to New York in 1918 to do sculpture. While in New York, Berenice met Marcel and Man Ray who were the core founders of Dada Movement, which was an artistic intellectual movement which emerged as a protest to the merciless suffering resulting from World War I. The artists in the Dada Movement questioned the tradition and convention through nonsensical works that were presented in visual arts, literature, and performances. Berenice relocated to Europe in the 1920s and worked as a photographic assistant to May Ray from 1925 to 1929. Through her work in printing Man Ray’s photos, she discovered that she had a talent for photography. In 1926, Berenice had her very first solo showcase in the Parisian gallery featuring her portraits in which she captured personalities that were associated with the avant-garde art movements. During the same time period, Berenice also became fascinated with the works of Eugene Atget, who was a leading photographer celebrated for his photos of the streets in Paris. She also established her own studio. Berenice shifted from portrait photography and concentrated on documentary photography, using the city as her main subject. This was akin to images from Atget. This was in 1929, after her return to New York. In the 1930s, she concentrated on campaigns to capture New York City’s transformation into the urban center that it was becoming. She was particularly enticed by the physical changes that the city had undergone, the changes in the neighborhoods, and the huge skyscrapers replacing older buildings. Abbott started a photographic documentary series of New York City part of a Federal Works initiative which was done from 1935 to 1939. At the end this project, Berenice published her photos as a book entitled Changing New York. She used a straightforward but dynamic style which had strong dramatic angles and strong contrasts. In 1940, Abbott was appointed as the picture editor for Science Illustrate and continued in this role throughout the 1960s. During this time, she expanded her subject material to encompass scientific images. She later moved to Maine in 1966 and progressed there as a science photographer. She approached the world methodically just like she had done with the images and portraits of New York. Berenice died in the year 1991 in Maine.